Travel has been identified as a major economic driver in SA and across the world. Tourism also supports a range of other industries, from transport to retail, entertainment and telecommunications, meaning the ripple effects are extensive. At the same time, small and medium businesses are the lifeblood of manyeconomies. Their capacity for job creation in itself, requires that they are supported to become sustainable. nomadicways.travel believes that on a tourist route, every business, no matter what the size, warrants exposure. 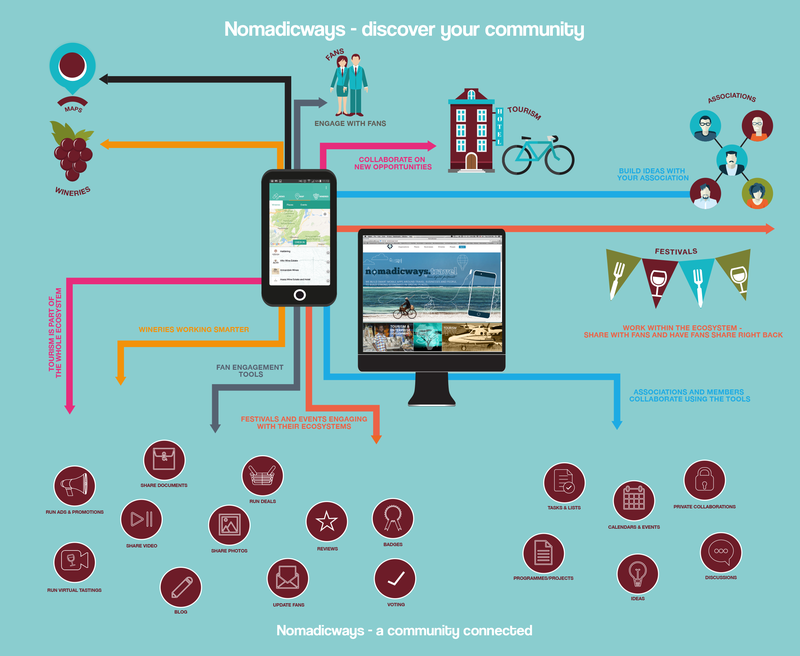 nomadicways.travel builds mobile apps for local tourist areas, giving every business, big and small, the opportunity to host a presence. What this means is that businesses on tourist routes can tap into the opportunities and of course, can be found by tourists. The mobile apps also serve to connect all the players in the ecosystem. To explore the possibilities for your region, contact us.